Some patients benefit from a full jaw rebuild on implants, which can be done in between one and three days. 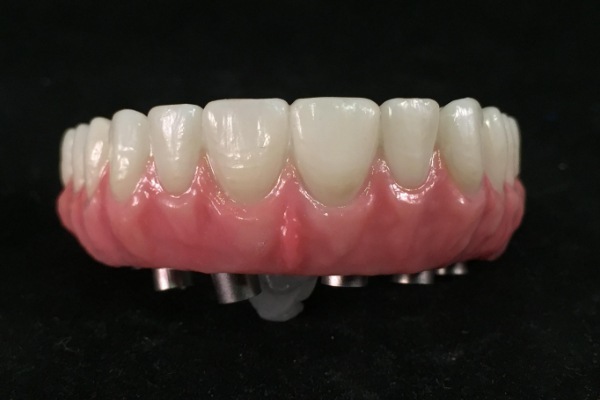 The procedure is suitable as an alternative to dentures and for those patients who would need a complete row of new teeth and patients with compromised bone. Our specialist doctors expertly place 4 or 6 implants on the upper or lower jaw, instead of placing an implant for each missing tooth. If a patient requires a full arch restoration, an advanced solution is the so-called All-on-4 implants treatment. The process involves placing only 4 individual implants; two straight anterior implants and two implants tilted up to 45º in the posterior. That provides the patient with a fixed full-arch prosthesis with immediate loading on the day of the surgery. Whether you need full arch or full jaw rehabilitation, All-on-4 implants is a fast solution to achieve a comfortable lifestyle and natural looking teeth. Another full arch restoration solution with same day loading is All-on-6. Six precisely made implants are placed to hold up to 14 unit bridge. Compared to All-on-4, All-on-6 dental implants are biomechanically stronger and simpler to maintain. The technique is also more cost-effective due to its efficiency and its stability. The treatment is preferred by patients with severe gum disease because the bone requires stronger support or because the bone is severely compromised. Patients with one or both jaws of missing teeth. Patients with one or both jaws of teeth beyond repair due to advanced decay and deterioration. Patients with severe gum disease affecting one or both jaws. Efficiency and Predictability – Treatment carried out in as little as a single day, or up to 3 days, without the need for partial or full dentures. Generally, bone grafts are not required which may add cost, time and the potential for complications. 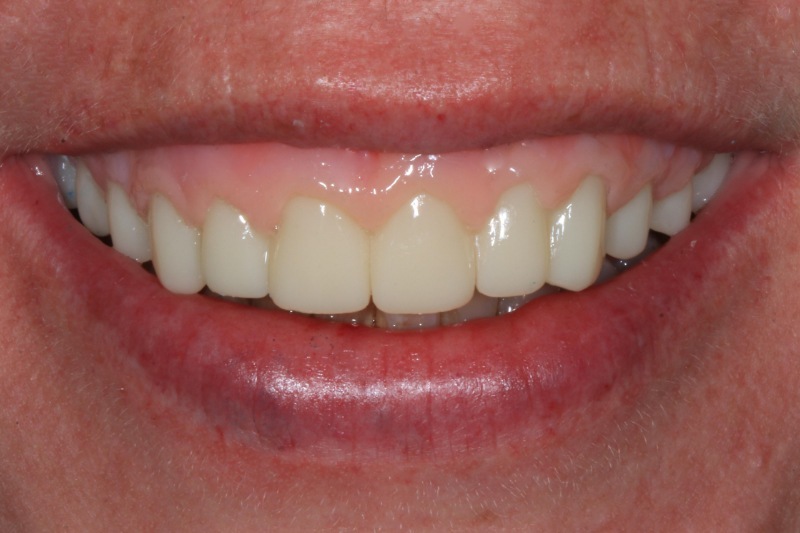 Predictable and definite treatment outcome – a fixed prosthesis that looks, feels and functions like real teeth. Simple maintenance with one review appointment a year. 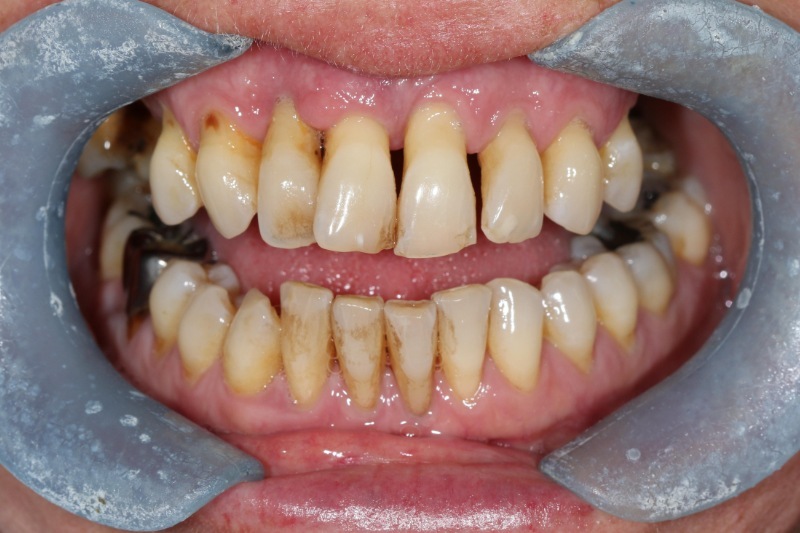 Full control of aesthetics and tooth position as you do not have to ‘work around’ diseased teeth. Much more cost-effective than multiple dental procedures.